Team Ladies In Red want to make the invisible wounds visible. 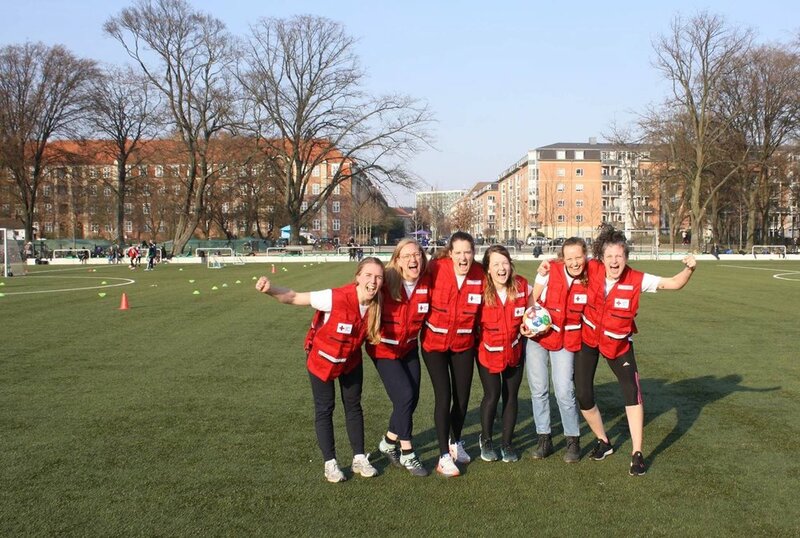 Team Ladies in Red is a group from The Danish Red Cross fighting for Goal 3: Health and Well-Being. They want to raise awareness about the mental health consequences of humanitarian emergencies and reduce the stigma surrounding mental disorders - by promoting the issue on social media and other platforms. Sharing lived experiences and creating a narrative will help to kill the silence surrounding the issue of mental health. We want to raise awareness about the mental health consequences of humanitarian emergencies by promoting the issue on social media and other platforms. We want to make the invisible wounds visible - by using words, creating a narrative around the issue and share lived experiences. We want to reduce the stigma surrounding mental disorders - by sharing personal stories and kill the silence.